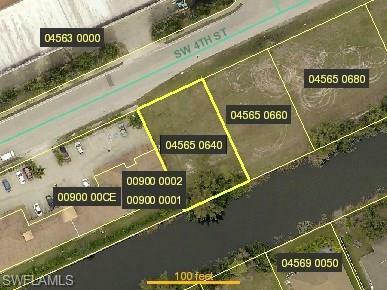 This waterfront, commercial lot is zoned corridor. Great location near the corner of Pine Island Road and Chiquita BLVD, surrounded by businesses and restaurants. Listing courtesy of Jessica Gatewood Pa of Sun Country Realty Of Fl, Inc.